In my thesis, I want to analyze the formal principles, media-specific realizations, and social andpoliticalresonances of invectivity in contemporary situation comedies.Through a comparative analysis and close reading of a broad corpus of materials (e.g. Parks and Recreation, The Comeback, Life in Pieces, 30 Rock, etc. ), I hope to be able to see larger patterns of invective strategies and certain conventions that define the dynamism of the comedic genre and its developments. For this, I will focus on where the poetics of the material rely on moments of invectives, formally describe them in their bandwidth of symbolic abuse, as well as examine their social connotations. Another crucial point will be the affective rhythms and the role of laughter in the comedic audiovisual material. Humor strategies that largely depend on a discourse of superiority and embarrassment will be of particular interest. Following Thomas Hobbes’ deliberations that “laughter is always antagonistic and conflictual [and establishes] a hierarchy at the moment of pleasure” (Scott 127), comedy and laughter can be seen as a means to demarcate and exert power. This, again, leads the way to a thorough analysis of group formation processes and their dynamics on the basis of normative discourses of identity (race, class, gender). By answering these questions, I hope to contribute to comedic research in general, our sub-project’s aims in popular culture, and to the CRC’s large-scale theory of invectivity. This paper discusses a genre of essay writing that advises students not to pursue a career in academia and that has recently enjoyed increased popularity. Focusing on one such “Thesis Hatement,” it argues that these texts are marked by inner contradictions and that these contradictions are indicative of the cultural work they do. Emphatically rejecting academia, these texts typically fail to convince their audience and, in a curious split between denotation and pragmatics, open up a position from which to embrace a graduate career. Herrmann, Sebastian M. “The Unpopular Profession? Graduate Studies in the Humanities and the Genre of the ‘Thesis Hatement.’” Unpopular Culture. Eds. Martin Lüthe and Sascha Pöhlmann. Amsterdam: Amsterdam UP, 2016. 313-36. Print. This (completed) dissertation project investigates contemporary US popular culture for what it terms ‘narrative instability.’ The project identifies a narrative trend since the 1990s among popular media to engage in instability in their narration: Such texts obfuscate and hinder narrative comprehension through fragmented, distorted, or unreliable narrations that complicate—and thus draw attention to—the process of (re)constructing a text’s storyworld. Significantly, unlike novels of ‘high’ postmodernism, which serve as the forebears of this trend, these contemporary unstable texts have attained widespread commercial popularity among different media. The project thus examines this phenomenon as a transmedia trend by looking particularly at contemporary films (e.g., Fight Club, Inception), TV series (e.g., Westworld), and video games (e.g., Alan Wake, BioShock Infinite), while also pointing to contemporary novels that work similarly and have, in turn, been influenced by these ‘newer’ media (e.g., House of Leaves, People of Paper). This (completed) project focuses on consumerism based on mass production and standardization that emerged in the US in the first decades of the 20th century. One of the effects of consumerism has been identified as homogenization in the social sphere. That process of homogenization contributed to nation-building and was perceived as both democratizing (levelling, for example, class markers in dress) and desirable. 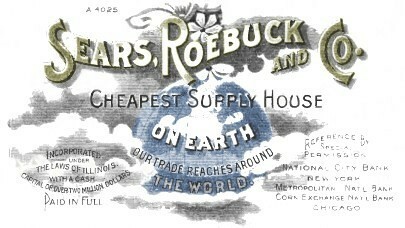 Mail order (especially the most successful company, Sears Roebuck) was the most important media of homogenization for the rural population: it provided the rural population with an access to consumerism (and thus prevented an already starting exodus from the country, as Postmaster General Wanamaker stated when reforming the postal service with the explicit aim to facilitate the mail-order companies’ business); it helped to "civilize" the still underdeveloped regions on the frontier, helping them join the rest of the US. In addition, it served as a primer and as a venue of buying for immigrants (who were consciously targeted as customers) who not only used to catalogs to learn to read and write, but also to achieve cultural literacy; and, as research has demonstrated, helped at least some African-Americans to be customers without having to suffer repression - mail order was color blind at a time when the US was mostly segregated. As a result, mail order served to "standardize" various groups into "Americans," enabling them join modernization. Consumption thus contributed in a major way to create a national identity in the US. This (ongoing) dissertation project explores the contemporary interpretation and representation of the fifties in American popular culture. 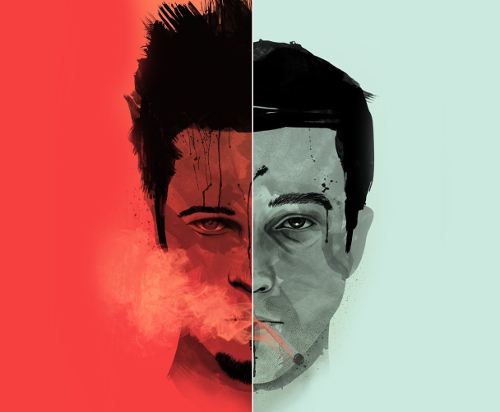 Both in film and television, the last fifteen years have witnessed a renewed interest in the fifties as a setting, as is visible in texts like Mad Men (2007-15), Far from Heaven (2002), Revolutionary Road (2008), and A Single Man (2009), among others. Often accused of unabated nostalgic longing for the fifties, these texts do not simply replicate the past as it was, trying to recapture the reality of a long-lost decade. Rather, they approach the subject by drawing from the fictional representations of the time. Reading the fifties as a privileged site to discuss notions of self-reflexivity, artificiality, intertextuality, and performativity, this project analyzes contemporary popular texts by looking at how they recreate the fifties as intentionally fictional in order to foreground the pleasures that this construction evokes. Influenced by a postmodern inclination, the texts considered in this project move away from a traditional, more ‘realistic’ portrayal of the past and rather embrace ambivalence, ambiguity, and the lack of one ‘real,’ historical fifties. However, by often availing themselves of genre markers typical of the melodramatic mode, the texts in question cannot escape the traditionalist and conservative conventions of a genre so strongly intertwined with the fifties. While recognizing the texts’ attempts at (post-)modernizing the fifties by looking at less represented narratives and characters, this project aims to uncover the intrinsically conservative nature of a fifties setting, which cannot help but hinder any impulse to rethink, rework, or re-historicize the fifties.